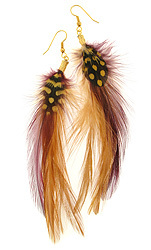 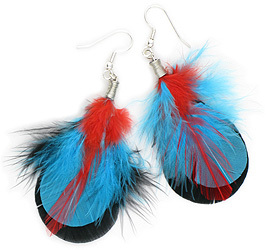 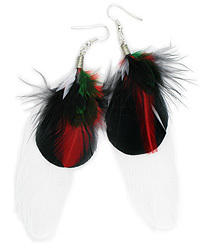 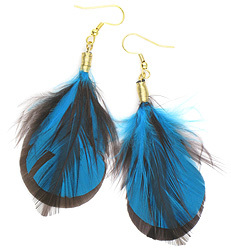 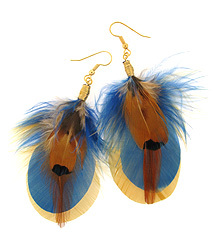 Arte Designs feather earrings are handmade with care. 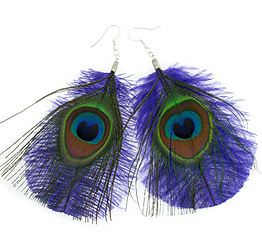 You can buy a single earring or buy them as a pair. 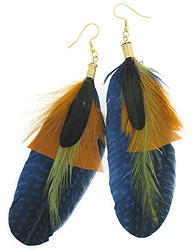 All feathers are hand selected and matched as close as possible. 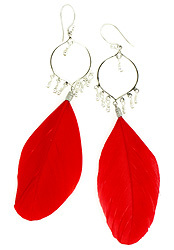 Each design is hand wrapped with silver or gold plated wire for a finished jewelry look. 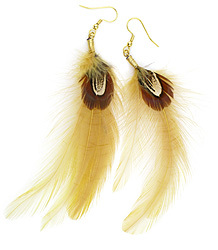 Beautiful and unique natural or dyed feather jewelry. 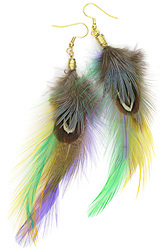 No birds are harmed. 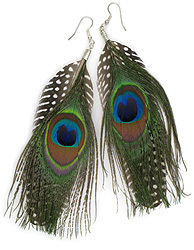 Handmade by Designer Kim Lee Ozawa - You can buy a single earring or buy them as a pair. 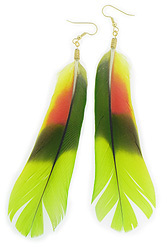 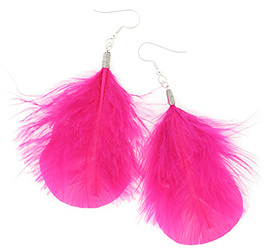 Arte Designs Feather Earrings have been seen on TV's Cougar Town, 90210, Transparent, and featured in Lucky Magazine. 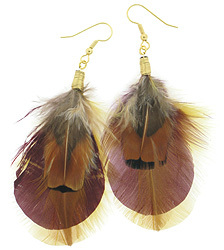 Updates will be added on my Jewelry On TV and Jewelry Press pages.